SIGILLO PLATINO hot-dip galvanising is a metallurgical treatment that protects against rust plus a special transparent nano-ceramic base coat. 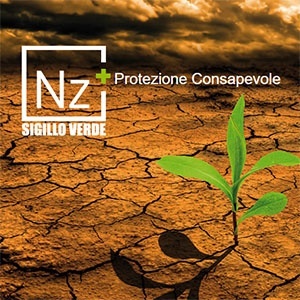 Direct derivation of SIGILLO VERDE® hot-dip galvanising, SIGILLO PLATINO allows you to apply a special finish to the zinc coating to enhance its characteristics. SIGILLO PLATINO hot-dip galvanising is an actual alloy between steel and zinc. 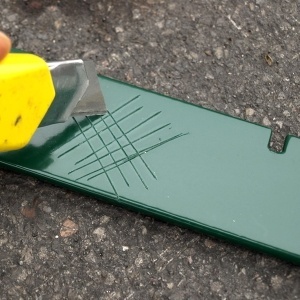 This results in a very tough surface that is difficult to scratch. It is highly resistant to scrapes and abrasions. It can be handled without special care and precautions. SIGILLO PLATINO hot-dip galvanising can be performed on all manufactured products made of carbon steel, commonly called "iron" with maximum dimensions of 13,000x2,800x900mm, or 13,000x2,500x1,600mm and a maximum weight of 2,000 kg/piece. SIGILLO PLATINO hot-dip galvanising is an anticorrosive system that is ideal for use in all environments: natural, urban, industrial areas and even in aggressive environments such as wetlands, marine and heavy industry zones. 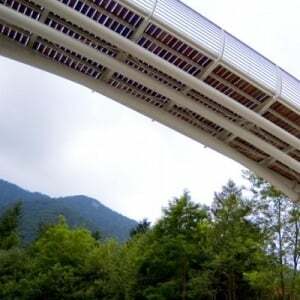 It can also be used to protect metal elements that are installed immersed in the sea, lagoons or rivers. SIGILLO PLATINO hot-dip galvanising is used in the protection of handrails, railings, stairs, street furniture, loft structures, industrial plants and finished products. View some application examples in the Projects section. SIGILLO PLATINO® hot-dip galvanising is performed according to European UNI EN ISO 1461 standard or, on request, according to other international standards such as the American ASTM. 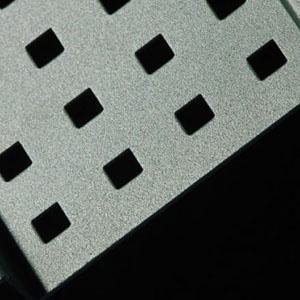 Subsequently, after eliminating the most obvious drops and accumulations, it is sprayed with a transparent nano-ceramic solution which is fixed during a firing phase at 180°C. SIGILLO PLATINO® hot-dip galvanising is delivered with a user and maintenance manual, an interesting guide on how to enjoy and prolong the anti-corrosive performance of the treatment to the utmost. You can download the manual and other technical documentation in the download section. download. Dichiarazioni di Conformità secondo la norma UNI EN 10204 ad ogni lotto. SIGILLO PLATINO® hot-dip galvanising is performed in a Class 1 zinc bath according to EU standard EN 24286, the only one that allows us to preserve all the mechanical characteristics of steel and weld seams otherwise to be verified, as required, according to EU Standard EN 1090. The SIGILLO PLATINO® hot-dip galvanising is performed using EMAS approved systems, the European environmental management regulation, and has anEnvironmental Product Declaration EPD. 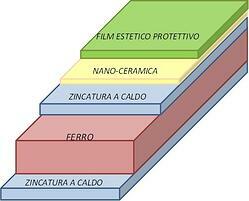 The elements then move to the next phase with the application of transparent nano-ceramic film which is fixed by firing at 180°C. REMOVAL AND CONTROL: removal of the material from the frames, quality control and finally packaging and finishing.. The SIGILLO PLATINO hot-dip galvanising must be carried out at the Nord Zinc spa facilities. It can not be done on-site and it is therefore necessary for the product manufacturer to deliver the parts to the facilities for processing.